$18 - Perfect paired with her favorite tops, these T2 Love shorts will be a staple not only during your vacation, but also during summer. 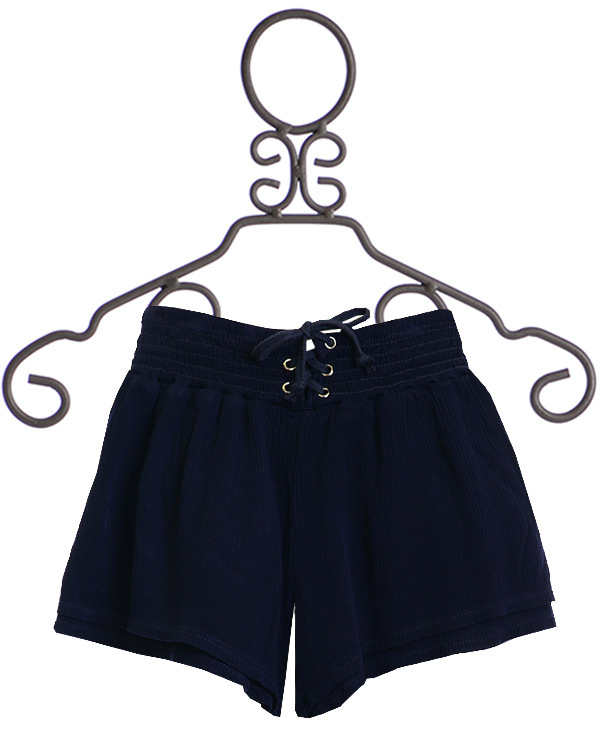 The flowing fabric is cut for a wide leg short, comfortable and easy to pull over her favorite swimsuit. The waistline stretches to fit while the center is laced up and tied in a bow. 100% Rayon. Machine Wash Cold, Tumble Dry Low. Made in the U.S.A.